Although more than two years have now passed since the introduction of Apple’s iPad tablet computer, this versatile mobile device continues to revolutionize the education landscape. Nevertheless, an exploding number of applications often brings confusion to teachers of English as a Foreign Language (EFL) in how best to utilize the iPad as a teaching tool in their classrooms, especially those language educators not so technologically inclined. The purpose of this article is to identify a few of the most useful iPad tools for EFL teachers, and to describe how teachers are actually using the device in and out of the classroom for tasks including the presentation of class content; face-to-face interaction with students; as an instantaneous, in-class reference tool; and for the teachers’ own professional development. By learning how EFL teachers are using iPads to their fullest potential, the reader will gain insight into how to maximize use of this versatile device and in the process will be able to provide a more enriching learning environment for students. Introduced in April 2010, the iPad is a tablet computer designed and developed by Apple Inc. Its size and weight fall between those of contemporary smartphones and laptop computers. It is used primarily as a platform for audio and visual media, including books, periodicals, movies, music, games, applications, and Web content. It has quickly been embraced by students and teachers, with now over 1.5 million iPads already in use in schools around the world (Apple Press Info, 2012). Although the iPad is still in its infancy with respect to educational uses for English as a Foreign Language (EFL) teachers, iPad applications are expanding the learning experience both inside and outside the classroom. The possibilities extend from the new interactive textbooks to study aids to productivity tools, such that it is worth exploring its potential usefulness to educators. An overwhelming number of applications (apps)—200,000—are made just for the iPad to help users become more efficient in the things they do every day, but in ways they have never done them before. This relatively new device brings a wealth of possibilities for classroom use and justifiably elicits excitement. Unfortunately, along with this excitement may come confusion and bewilderment among those teachers who feel overwhelmed by the new technology. Many EFL teachers are still sitting on the sidelines, watching and waiting as technology in the education field changes virtually on a daily basis. Recent research (Ertmer & Ottenbreit-Leftwich, 2010) has revealed that although teachers in general have increased their personal and professional uses of computers, instructional uses of computers in the classroom still tend to be low-level (e.g., presenting a lesson with PowerPoint, searching the Web for information resources, assigning homework using the computer, etc.). One reason teachers are reluctant to incorporate technology into the classroom is that with the tools and resources constantly changing and always being in a state of flux, teachers are in effect being asked to hit a moving target. Thus, they will never have “complete” knowledge about the tools available, and this often results in some teachers remaining as everlasting beginners in the process of technology integration. There is no question that the iPad and its ever growing number of apps offer an abundance of new opportunities for all fields of endeavor. For EFL teachers, there is no better time to investigate some useful iPad tools that can be used both inside and outside of class, and for the teachers’ own professional development. What’s more, most iPad apps are either free or priced under ¥850. While there is no clear dividing line between iPad applications that can be used in or out of the classroom (as most can be used for both), this paper will review them separately for the sake of simplicity. For anyone tired of carrying a heavy laptop, Evernote is an elegant solution. This free application allows users to create notes, extract Web page content, store PDFs, and snap photos, using categories called “tags” to organize the content into various notebooks. These files can then be made available on any device, from a home computer to a smartphone to an iPad. On a mobile device in a classroom, Evernote allows teachers to more easily share files with their students, and courses can be broken down and put into notebooks along with text, charts, figures, audio recordings, and videos. By using the “Evernote Upload” email address furnished with the account, teachers and students can email notes, photos, and audio clips from an iPad, computer, or smartphone directly into an Evernote notebook. By adding a special destination tag at the end of the subject line, students can email their assignments directly to the teacher’s Evernote notebook that has already been specifically set up for either the student or the assignment. 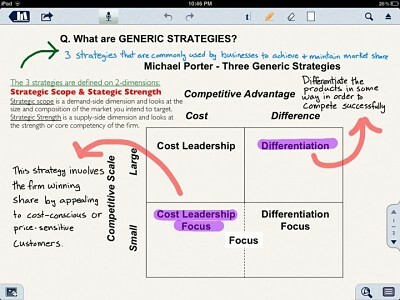 Moreover, because text in Evernote images is searchable, snapping photos of whiteboards and class notes is a good way to keep records, which can then be synchronized with a computer and smartphone, allowing easy access across all devices. This recordkeeping method works well outside the classroom, too, for organizing personal things like business cards, receipts, labels, and the like. Evernote’s “Shared Notebooks” feature allows users to share notes with the public, or to confine sharing to friends, colleagues, or students. Especially convenient is the ability to put lesson plans into a format that is available to students online and is also easy to edit and update, in much the same way as with course management systems (CMS) such as Moodle. A science teacher in California (Buran, 2011) recently used the Shared Notebooks feature to keep his students updated with class materials after a landslide in his area blocked roads and kept students from attending school for several weeks. Even though many of Buran’s students were unable to attend class, by sharing his Evernote notebooks, they did not fall behind because they were able to access class notes, worksheets, PowerPoints, and labs. Figure 1 shows one of the daily class itineraries using Evernote Shared Notebook. Figure 1. Daily class itinerary using Evernote shared notebook. Evernote Peek (2011) is the first iPad Smart Cover learning application to allow users to cycle quickly through Evernote notes in a question-and-answer, flashcard style. When you roll open the first section of your iPad Smart Cover (Figure 2), Peek will show you a question posed by the teacher. 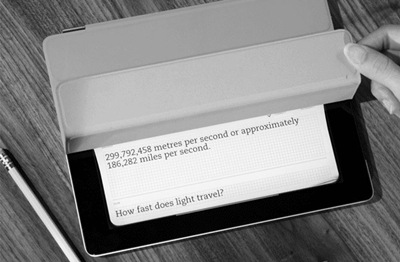 If you open the next section of the Smart Cover, the answer will be revealed. Each time users open the first section of the cover, a different question will be displayed. By connecting Peek to an Evernote account, it is possible to brush up on a language, make flashcards for a quiz, or test your trivia knowledge, all by simply peeking under the Smart Cover (or the optional virtual on-screen cover). Figure 2. Sample question and answer in Evernote Peek. 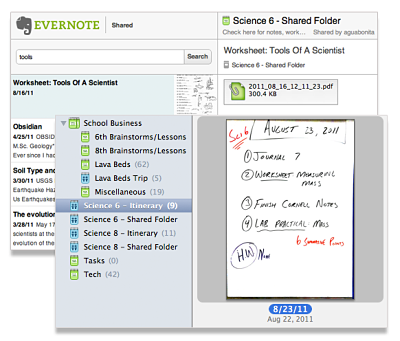 Teachers can make a quiz with Evernote Peek by creating a new Evernote notebook for the quiz. The title of the note will be the “question” portion when viewed in Evernote Peek and the body of the note will be the “answer.” Peek can also be used by students for self-study. I have used Evernote Peek in my oral English classes for key expression drills and in my science English classes for reviewing technical vocabulary, by displaying the iPad image onto the classroom projector screen or the language lab booth monitors. My EFL students have also been thoroughly amused by some of the application’s other built-in quizzes on topics such as French words, sushi, world capitals, and bird calls. Notability is an all-inclusive, note-taking paid application that lets users take notes, draw figures, insert photos and Web clippings, and record audio—all from within the application. These notes can be emailed or exported in a format of the teacher’s choice (including options that retain the audio) to free online file storage services like Dropbox (discussed in more detail later) and iCloud (icloud.com), iTunes file sharing, and elsewhere. Unlike some other note-taking apps where users can only draw with their finger or a stylus, Notability gives users the ability to type notes as well as draw, with over a dozen paper styles and colors available to choose from, ranging from a classic white background to college-ruled paper. Notability also allows the importing and annotating of PDFs, and its unique zoom feature enables users to control the size of the writing more easily. Darrel Wanzer, a University of North Texas professor, has used Notability to help streamline his review and grading of student presentations (Enck-Wanzer, 2011). By using Notability, he created a new note for each student, recorded their presentations using the application’s elapsed time indicator to track presentation length, typed his comments on their presentation performance into the note, and even took photos of them in action. After getting home, he emailed his written review from within the application to each student. In my own oral English classes, I have used Notability during my “What’s new?” face-to-face walkabout session at the beginning of class, for taking digital notes, and as a mini-whiteboard to write down difficult vocabulary or expressions for individual students. I have also used it with a PDF seating chart for recording student participation and taking attendance in my smaller classes. One of Notability’s best features is how seamlessly it synchronizes an audio recording directly to the notes being taken at that time. When reviewing the notes, double-tapping on a word anywhere in the note will cue the recording directly to the section of audio that was recorded when that specific word was typed. No rewinding or fast forwarding is necessary to get to that point in the recording. Just tap the word and that portion of the audio is played. Figure 3 shows a screenshot of a sample class note in Notability showing examples of typed text, handwritten text, and free-hand drawing. Figure 3. Sample class note in Notability. The Keynote app is Apple's answer to Microsoft PowerPoint, which allows users to create, edit, and share multimedia presentations with graphics, animations, and charts. Besides the obvious use for professional presentations, Keynote is widely used by educators for classroom lectures. On an iPad and with a wireless connection, it enables teachers the flexibility of delivering more dynamic lectures by being able to walk around the class while presenting course content. By using the built-in Charts feature, one can easily take a class poll and create a colorful bar chart displaying the results (Henneberry, 2011). The application can import Keynote ’09 and PowerPoint presentations via email attachments, iTunes, Dropbox, or from iCloud. It is also possible to drag and drop presentations to iCloud from a Mac or PC to have them automatically appear on an iPad or any other iOS device. When the iPad is connected to an external display such as a classroom projector, the iPad screen shows Keynote’s “presenter display,” which in addition to showing the slide number and current slide (and/or next slide), includes an elapsed time indicator and a simulated laser pointer tool. The laser pointer displays a bright red dot on the external display wherever you touch and hold your finger on the iPad screen. You can also set up the presenter display to show your presenter notes, and if you have an iPhone or iPod Touch, you can install the Keynote Remote application on it to remotely control the presentation on your iPad. Figure 4 is a screenshot of Keynote’s presenter display, showing the elapsed timer and laser pointer. shown at the upper left. Presentations can be shared by emailing them (in Keynote, PowerPoint, or PDF format), copying them to iTunes, or uploading them to Dropbox. iCloud stores presentations and keeps them up to date across an array of mobile devices and the Web, so that you always have the most current versions at hand. Wikipanion is the mobile device version of Wikipedia and is connected directly to the Wikipedia servers, making access to the site easier and faster. Topics you are looking up can be located more quickly with the in-page search and autocomplete features. Your favorite pages can be bookmarked and articles can be saved, so you can read and reference them later. By enabling other languages, search results can also be displayed in those alternative languages. On the “Related” pages list, links are then provided to different language versions of the page, but only to the languages you have enabled, so you are not overwhelmed with a long list of languages you are not interested in. In addition, by pressing down on any word on the page, the application provides a direct lookup feature in Wikipedia’s sister dictionary site, Wiktionary, without having to leave the current page. 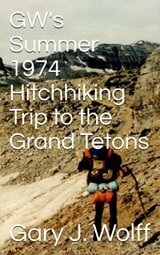 Unlike the Web site version, each page has a left-side table of contents that links directly to those sections of the pages. By clicking on the latitude/longitude coordinates link in the upper right corner of the page, a Google map automatically pops up in a new window. Dictionary.com is just one of a number of good online English-English dictionaries, but not only is this iPad app free, it also provides full mobile access to Thesaurus.com. The app includes nearly two million words, definitions, synonyms, and antonyms. It also features audio pronunciation, voice-to-text search, and Dictionary.com’s popular Word of the Day. Another nice feature is that no Internet connection is necessary for looking up words or for accessing most of the app’s other content. iTunes U is the world’s largest catalog of free educational content and a powerful, innovative distribution system for everything from lectures to language lessons, films to labs, audiobooks to tours (Apple in Education, 2012). iTunes U now has more than 500,000 free lectures, videos, films, and other resources from over 1000 universities in 26 countries, including prestigious institutions like Beijing Open University, Cambridge, Harvard, MIT, Oxford, Stanford, UC Berkeley, and Yale. At least half of these schools distribute their content publicly, including lectures, presentations, syllabi, assignments, reading materials, and campus maps. In August 2010 iTunes U launched its service in Asia by distributing video content from four Japanese universities. So far, 10 Japanese colleges and universities have posted lectures and course materials in both English and Japanese to iTunes U, such as Chuo University, Hokkaido University, Kansai University, Keio University, Kyoto University, Kyushu University, Meiji University, Senzoku Gakuen College of Music, The University of Tokyo, and Waseda University. In the “Beyond Campus” section of iTunes U, although much of the material may be too high-level for most EFL students, teachers can access a wealth of English content from distinguished non-university entities, such as MoMA (Museum of Modern Art), the New York Public Library, National Geographic, the Smithsonian Institution, Public Radio International, and PBS stations. Please note that this content is usually of such a large file size that you will be unable to download it using your iPad’s 3G connection, so if your school's Wi-Fi network is unreliable, it is better to download the material before class through iTunes on your home or office computer. FaceTime is a built-in app, or put another way, an application that is free and automatically included in the iPad 2 and new iPad. It allows users to make video calls from an iPad 2 to someone else’s iPad 2, iPod touch, iPhone 4, or Mac over Wi-Fi. The iPad’s front camera can be used to talk face-to-face and the back camera to share what you see around you. Teachers can collaborate with educators around the globe or with students when not in class by just tapping the app icon. FaceTime also creates opportunities for live video chats with students at other schools or even in other countries (Talandis, 2011). While FaceTime is limited to Apple devices, the free downloadable Skype application is another option that would enable in-class student exchanges, allowing free video calling and instant messaging with other Skype users. The possibilities are truly limitless. Anyone who has used Dropbox on a computer or smartphone already knows this is a vital tool also for the iPad. Dropbox is a free or paid Web-based file storage application that eliminates the need for flash drives and portable hard disks. Users need only sign up on the Internet to store files and can then synchronize storage to allow access to them from any other computer, iPad, or smartphone. Transferring files from a computer to Dropbox can be accomplished by copying and pasting files into the Dropbox folder on your desktop. After the almost instantaneous synchronization, the files can then be opened on an iPad using applications like Keynote, Notability, Evernote, Adobe Reader, and iBooks, depending on the file type. Figure 5 shows a screenshot of a sample file directory in Dropbox. Figure 5. Sample file directory in Dropbox (left) with file preview (right). Users can choose whether Dropbox files and folders will be public; these can be shared via a public URL link or by entering email addresses for individual viewers (Pellowe, 2011). The basic Dropbox account is free and allows storage up to two gigabytes, with individual paid plans up to 100 gigabytes available. Users can also expand their free storage allotment if they can convince other people to sign up. The free Dragon Dictation app is courtesy of Nuance Communications, maker of the popular Dragon NaturallySpeaking voice recognition software for PCs. This app allows users to speak and save drafts of documents, emails, to-do lists, social media status updates, and more at a speed much faster than typing. After dictating a note, you can email it to students, parents, school administrators, or to yourself by clicking on the options drop-down box in the upper right corner and clicking on “email.” You can also copy and paste the dictated note into any other application that accepts text, including Safari, Notes, Evernote, and Notability. Facebook and Twitter users, by authorizing a connection to their accounts, can click on these icons in Dragon Dictation, and their composed text is inserted automatically into their status bars at those social networking sites. For slow typists, this app can be a huge timesaver. Long-time users of Dragon NaturallySpeaking for the PC will be pleased to know that the Dragon Dictation iPad version uses, for the most part, the same formatting and punctuation command syntax. Tips and a quick reference guide are available in the application’s settings. Google Translate allows you to translate text from more than 60 languages. For 17 languages, you can speak your words and phrases instead of typing them, and for 24 languages, you can hear the corresponding translations spoken aloud. Its speech recognition is far from perfect and often renders some comical translations, but when used slowly and carefully, the app allows for at least some degree of communication between people with no common language. By using the language swap button at the top which reverses the direction of the translation, in those 17 languages that provide both speech-to-text and text-to-speech capabilities, it is possible to have some semblance of a quick back-and-forth conversation. When living and teaching in a foreign country, it’s nice to have such a quick reference tool at your fingertips and is a welcome addition to our linguistic toolbox. Midori is a Japanese-English, English-Japanese dictionary app that comes highly recommended by EFL teachers (Beck, 2011). It is a very powerful tool for teachers who are studying Japanese, with more than 146,000 words, more than 12,000 kanji, 150,000 example sentences, 720,000 Japanese names, and other features that will make learning Japanese more enjoyable. You can search by kana, romaji, or a combination of both; by handwriting using native Japanese (not the usual built-in Chinese) handwriting recognition; or by kanji radicals. Many users buy this app solely for its superior handwriting recognition capabilities. iBooks, a free downloadable app from the App Store, features a colorful interface resembling a bookshelf, crisp text, and a multi-touch interface that lets users turn pages with the flick of a finger. It is a new way to browse and buy books. iBooks Version 2 enables users to now buy even interactive, multimedia textbooks from the built-in iBookstore, which is revealed when the iBooks bookshelf turns around. Teachers can download educational titles from publishers such as Penguin Books, HarperCollins, Simon & Schuster, and Macmillan Publishers. The iBookstore also provides content channeled through Smashwords, allowing independent authors and publishers to self-publish. Downloaded books appear on the user’s iBooks bookshelf and can be read by just tapping them on the screen. Easy-to-use tools allow users to bookmark pages, highlight text, and make notes (all three record the date for future reference). The books are fully searchable and font style and size can be adjusted. It is also possible to save, read, and print PDFs, which is useful for class handouts, research papers, and more. iBooks can synchronize between devices, so one can start reading a book on one device and continue from where one left off on another. The iPad is perfect for reading newspapers, magazines, and journals. The Newsstand app allows your favorite subscriptions to be organized in one convenient location. In addition, Newsstand automatically downloads new issues in the background, so it does not disturb current reading. My own iPad Newsstand shelves are graced by useful periodicals for teaching, such as Popular Science, Wired, National Geographic, and The New York Times. Applications for the various news periodicals are free, as are the preview and sampler issues. The price for annual iPad subscriptions is comparable to print subscriptions, but for some periodicals, print subscribers can access the iPad edition for free. Copy textbook CDs onto iPad. Teachers can import textbook CDs into iTunes and then synchronize them to the iPad. That eliminates the need to carry individual CDs to class (Angel, 2011). Other iPad applications. Some other applications that may be useful include classroom management tools like Gradekeeper for iPad, Attendance (Swanson, 2012), Teacher’s Attaché, TeacherPal, Whiteboard, and Speechmaker. Other education-related apps include Khan Academy, Google Earth, TED, and Karaoke HD (Yasuda, 2011). Brief descriptions of these apps, all of which are free or available for only a nominal fee, can be found in the iTunes App Store. I have discovered exciting new ways to integrate technology into my language teaching by using the iPad. At the same time, I have also recognized that technology can never replace our core pedagogy, but rather merely supplements our regular classroom activities. When I first started using the iPad in my classes, there was a very noticeable and immediate upward shift in enthusiasm and excitement among my students. It is my humble opinion that most learners are technology enthusiasts at heart, and when they observe their teachers introducing technology into the classroom, they cannot help but feel inspired to embrace it themselves. The iPad puts the world at your fingertips in the classroom, opening many new avenues of ideas for stimulating and maintaining student interest in your lessons. By using the iPad, EFL teachers can present lesson content, monitor student progress, and stay organized. In my classes I have played language games, conducted vocabulary drills, read books, listened to imported textbook CDs, recorded student participation and attendance, watched videos, and even sung karaoke on the iPad, and this is just the beginning. Angel, J. (2011). Tablet computers in the ESL classroom: Unlimited possibilities. The Language Teacher, 35.5, 51-53. Beck, D. (2011, November). Using iPads and iPhones in the language classroom. Presented at the national JALT 2011 Conference, Tokyo. 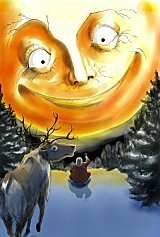 Henneberry, S. (2011, November). iPads as tools for teachers. Presented at the national JALT 2011 Conference, Tokyo. Pellowe, B. (2011, November). Dropbox for language teachers. Presented at Technology in Language Teaching Workshops, JALT 2011 Conference, Tokyo. Swanson, M. (2012). iPad resources for classroom management. The Language Teacher, 36.1, 40. Yasuda, M. (2011, June). The merits and demerits of an iPad in WELL (Web Enhanced Language Learning) in teaching writing for large university EFL classes in Japan. Presented at the JALTCALL 2011 Conference, Kurume. Gary J. Wolff is a former registered professional transportation engineer who has worked in Japan since 1991 and taught both undergraduate and graduate engineering and science students in his university’s School of Science and Technology for the past 18 years. His interests include the latest technological advances in online student forums, student motivation, classroom gamification, mobile-assisted language learning (MALL) methods, and fostering global awareness among his students. In his free time, Gary enjoys mountain climbing and has scaled all of the 25 highest mountains in Japan.